High end restoration and repair of antique rugs, kilims and tapestries. Hayko’s work is on display in galleries and auction houses across the world, yet you cannot see it. That’s the point: top-quality restoration is invisible. Hayko Oltaci’s interest in carpets started at age 16 and what started as a hobby became a life-long passion. Since then he perfected his craft in Europe and the US before opening his own company. Visit his atelier—examine his restorations, see his private collection of carpets and kilims and enjoy a cup of Turkish coffee. Just don’t spill any, please. 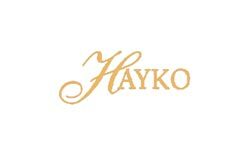 Hayko’s artisans have been serving discerning private clients in the US and abroad. Hayko was also resident restorer of the famed auction house, Christie’s. The firm does restoration work for museums, galleries and top dealers. They also now offer rug weaving classes.